COOPERSTOWN, N.Y. (AP) — Two places have triggered tears of joy in my life: The Vatican and Cooperstown. I wasn’t surprised when it happened in my mother’s homeland while kneeling and praying in St. Peters as the nephew of a Roman Catholic priest and the great nephew of a Dominican nun. Even though I’m an emotional Italian-American, I did not expect to have my emotions tugged as they were last month in upstate New York. With my wife, our son, daughter and her friend, we broke up a nine-hour drive from Ann Arbor, Michigan, to Cooperstown into a two-day trip. We stopped for chicken wings at Duff’s in Buffalo, spent a night in the Finger Lakes region and visited Seneca Falls where the women’s rights convention was held in 1848. We were going to Cooperstown, naturally, for baseball. I found out over the course of a week there’s much more to the one-stoplight village than its No. 1 attraction, the National Baseball Hall of Fame, which is truly a great shrine for the game. My son plays for a 12 years old-and-under travel baseball team, Michigan Blue Jays Treat, that wrapped up its season at Cooperstown Dreams Park. The sprawling and spectacular 165-acre facility is surrounded by lush forests providing a picturesque backdrop on any one of 20-plus fields enclosed by green, eight-foot walls. 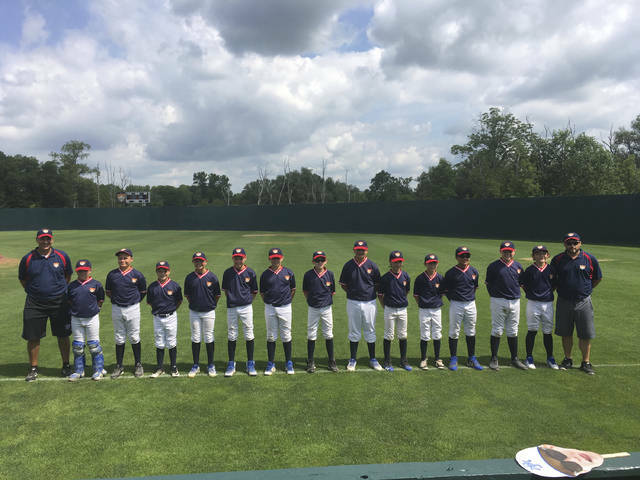 Cooperstown Dream Park host 13 weeklong tournaments each summer and draws the country’s best travel baseball teams from as far away as Hawaii. It brings in more than 500,000 visitors to a village with fewer than 2,000 year-round residents. The tournament has created a unique culture in which it is common for an infielder to extend a hand for a competitor to slap when rounding the bases after clearing the fences in a ballpark where a 200-foot fly is a home run. When I saw that the first time, it touched me and that’s tough to do at a sporting event for a sports writer who has been to thousands of games. The tears flowed, though, on another day when walking to the National Baseball Hall of Fame on Main Street, which looks like a Norman Rockwell painting. It took some time for me to pull it together before joining our team’s players, coaches, parents and siblings for a wonderfully informative 30-minute talk with Baseball Hall of Fame director of communications Craig Muder. 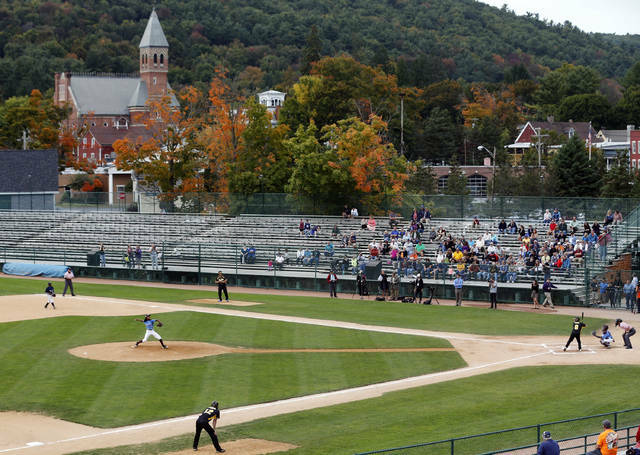 Even if you don’t have a player to root for at Cooperstown Dreams Park, check out a game if you can make it there before the end of the month or any other summer. It’ll give you a good excuse to check out a place unlike any other. Locals say they love the fall when the leaves are changing colors on countless trees and crowds are smaller, so that may be a great time to getaway to this gem. 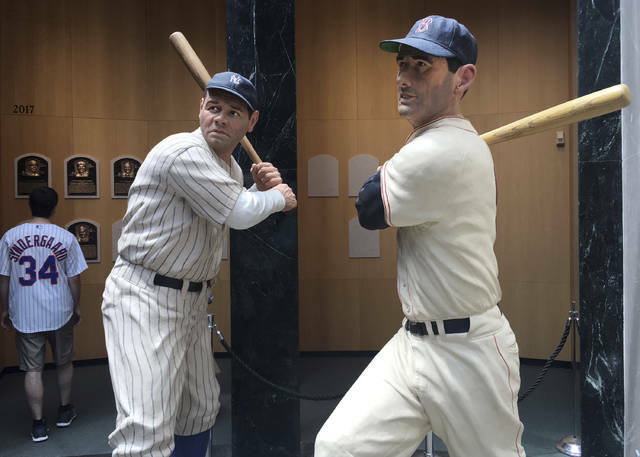 If it’s too far to drive, fly to Albany, Binghamton or Syracuse and rent a car for a 90-minute drive to Cooperstown. We rented a spacious home with a spectacular view of forests with trees so clumped together they looked like broccoli florets, a pool and an awesome deck. Bed-and-breakfast options include the Landmark Inn where guests can help themselves to peanuts and Cracker Jack, a nod to the song “Take Me Out to the Ballgame.” Near the stop light, the Inn at Cooperstown serves ice tea, lemonade and cookies on the porch. To accommodate the seasonal floods of people, there are also many hotels, including some nationally known ones, and motels along with homes from lakefront homes to simple cabins for rent. Main Street is filled with dining options, including the can’t-miss Nicoletta’s Italian Cafe along with Sal’s Pizzeria and Cooperstown Diner. Please do yourself a favor and make a 5-minute drive north of downtown, to eat and or drink at The Blue Mingo Grill. The restaurant is in a boatyard on 9-mile-long Otsego Lake and serves perhaps the best chowder west of New England. Two museums perched on waterfront property once owned by author James Fenimore Cooper who wrote “The Leatherstocking Tales” series, are also popular attractions. The Fenimore Art Museum has a highly regarded Native American collection and the Farmers’ Museum puts visitors on an active farm.